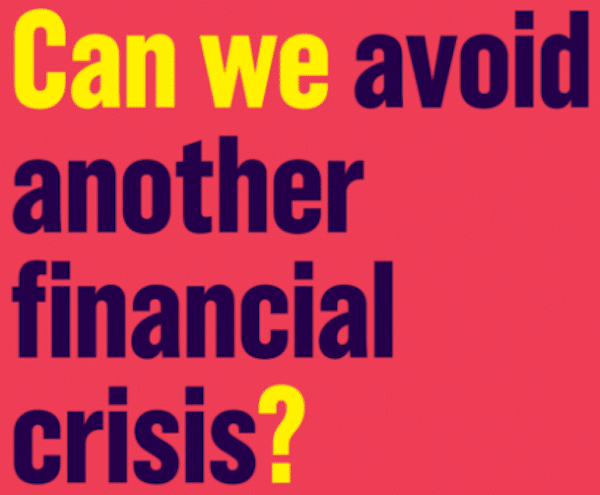 MR Online | Can we avoid another financial crisis? O Fortune, what God is more cruel in our lives than you? How can you always take such pleasure in playing with human affairs? After the Global Financial Crisis, Steve Keen achieved worldwide acclaim with his book Debunking Economics (2011). It attacked the core tenets of neoclassical economics and some of its heterodox rivals. It also revealed Hyman Minsky’s post-Keynesianism as the most promising route to a scientific revolution in economics. Minsky was an economist working in the second half of the 20th century who devoted most of his career to the study of financial instability. Prominent macroeconomic thinkers have recently rediscovered his writings as the ideal starting point for a diagnosis of contemporary financialized capitalism. Can we Avoid Another Financial Crisis? is the most recent publication in this emerging Minsky revival. It provides: 1) a critique of neoclassical economics’ failure to predict the Global Financial Crisis, 2) an alternative Minskyan model with a higher predictive potential, and 3) some policy suggestions to soften the blow of the inevitable crises coming our way. 1) One of orthodox economics’ key assumptions is the reducibility of macroeconomics to microeconomics. The movements of the economy in general should supposedly be completely explicable with the laws governing the decision-making of individual economic agents. Since any economy is at heart nothing but a collection of individual utility-maximizing agents, one should allegedly be able to reduce the macro-level to its micro-level constituent elements. In this perspective, macroeconomics is basically applied microeconomics. Keen questions this project because it abstracts from the complexity of macro-phenomena like a large-scale economy. Some significant regularities only appear in aggregated data, because the latter reflect not the properties of a collection of individual entities, but of their mutual interactions. Just as you cannot explain the weather with only the chemical properties of H2 O, it is impossible to derive the behaviour of entire economies from individual decision-making laws. You need the macro-level overview to see the aggregated regularities. Reducing macroeconomics to applied microeconomics ignores the behaviour of the economy as a complex assemblage of individual economic agents with its own integrity. Neglecting this integrity causes orthodox economics to distort macroeconomic insights with questionable optimism. Keen convincingly argues that neoclassical orthodoxy uses reductionism unjustifiably to transfer the faith in a tendency toward equilibrium to entire economies. Orthodox economists’ belief in the invisible hand of the market is thereby projected onto macroeconomics. They conclude from the economic rationality of individual decision-making that the economy as a whole is the best of all possible worlds. Mainstream models consequently fail even to imagine how economies fail except by exogenous shocks. Only events like wars, natural disasters, or even worse, government interventions can allegedly cause economic depressions, an implausible hypothesis after the Global Financial Crisis. 2) A necessary condition of an adequate understanding of the Global Financial Crisis is an economic theory that can explain how capitalism itself produces crisis events. Keen’s alternative model uses Minsky’s thought about financial instability to explain the endogenous emergence of crises. Keen includes the financial sector – a factor surprisingly missing in mainstream economics – to show how capitalism can destabilize itself. Usually economists think of private debt as banks temporarily transferring money from savers to borrowers, and rewarding savers with an interest in return. For Keen, this narrative is misleading. No such transfers are ever made. In reality, banks temporarily create money ex nihilo. They add invented debt-money unto the borrower’s deposit account and write a corresponding liability on their own accounts to give the debtor the borrowed money in cash when needed. Banks consequently enlarge the money supply in the whole economy, giving more spending power to borrowers, and thereby boosting total demand. Private debts can thus drive credit-fueled economic growth. Keen derives from this insight the sinister hypothesis that private debt can turn economic stability into its opposite. In times of prosperity, banks loosen up their loan policies to gather more profits. They assume that current loans will engender good revenues, because loans in the past have done so. Since the economy has been doing well, they believe Fortune smiles on their fate and will keep up the economy’s performance. This triggers a period of euphoric expectations: loans are cheap and the economy is booming, so borrowers are inclined to take on ever more leverage. Bubbles will start to appear in particular asset markets, such as the U.S. housing sector during the 2000s. Since housing prices keep rising, consumers start speculating on these increases to take out higher mortgages. The prices of these assets are bloated because consumers keep taking on bigger loans to buy them. Since such bubbles however hardly create new economic activity, GDP will no longer rise in tandem with private indebtedness. Keen thus identifies the ratio of private debt compared to GDP as the crucial indicator of an upcoming financial crisis. Once private debt grows faster than the economy, a crisis is looming because it suggests that people are taking out more debt than they will be able to repay with future revenues. The credit-fueled boom can only maintain itself as long as the amount of debt pumped into the economy keeps accelerating, but, just as you cannot keep accelerating a car ad infinitum, the rate of private debt growth must slow down at some point. When that happens, some borrowers will notice how overleveraged they are and will start selling some assets to pay off debts. To alleviate the risk of default, they sell some illiquid assets. This turns the tide on the aforementioned asset bubble. The slower these prices rise, the more people will get into trouble to pay off debts and thus a race to the bottom commences. The speculative adventure is over and a competition for liquid resources begins. Eventually the whole market crashes because the more people sell off their assets, the less valuable the latter become and the more people turn out to be overleveraged. These observations have been quite familiar to the people following the literature on the Global Financial Crisis, but Keen mentions an additional problem related to Fisher’s debt deflation thesis: the more debtors reimburse their loans, the more they owe. When debtors deleverage, they extinguish the debt-money created by banks and thereby diminish the money supply and total demand. If many people choose to pay off their debts, the money they pay back represents more value due to deflation than the money they originally borrowed. Eventually the positive effects of deleveraging private debts are annulled by the simultaneous slowdown in GDP growth as the whole economy goes into recession. The result is whole countries reduced to the status of ‘debt zombies’, in Keen’s terminology. Countries like the U.S. today and Japan in the 1990s, for instance, still have high private debt, but lack the strength to boost economic growth. 3) If Keen’s diagnosis is correct, the key question is of course how to avoid zombification. Keen’s first answer is that since crises are endogenous to capitalism itself, it is only an idle hope to wish them away. The wheel of Fortune will not be tamed. One might think of sound proposals in theory, but there is no reasonable expectation they can actually be implemented in a liberal democracy. There are however ways to soften a crisis’ negative effects. Most governments, particularly contemporary Australia, postpone financial crises by stimulating private indebtedness. They defer the moment of truth by artificially keeping up the credit-fueled growth. In Australia, for instance, the government has introduced First Home Owner Grants to maintain the housing bubble. This is however merely a short-term solution. The only reason why it is so tempting to politicians is that the latter do not stay in office long enough to bear the adverse consequences of these policies themselves. Minsky’s original proposal was massive government spending. In this case, public instead of private debt maintains economic growth when financial instability puts a downward pressure on GDP. To a certain extent, this mechanism kicks in automatically when, during an economic downturn, governments collect fewer taxes and spend more on social security measures like unemployment benefits. From Keen’s perspective, increases in public debt are hence not a cause of recessions, but a necessary and even helpful effect. The problem with this approach is that today it would require amounts of government spending comparable only to the situation during World War II. Keen’s own solution pulls inspiration from a number of proposals developed in the recent years after the Global Financial Crisis. His Modern Debt Jubilee Proposal combines the ideas of debt forgiveness and the creation of spending power via ‘helicopter money’, i.e. newly printed money handed out to the public. Governments should simply create extra money and give it to the population firstly to pay off debts. This not only makes private debt go down by indirectly canceling them, but also boosts economic growth by allowing non-debtors to use the money for private consumption. Another proposal Keen formulates is to reform financial regulations to shift banks’ lending strategies from funding unproductive asset bubbles to investing in entrepreneurial activities that provide a productive service to the economy. The problem with credit-fueled growth is that people choose to invest the credit in non-productive assets like houses. Private debt consequently increases more quickly than GDP. Diverting private debt to new economic activity would hinder this tendency by giving a stronger boost to GDP growth as well. Keen’s Can we Avoid Another Financial Crisis? is meant as a short and accessible application of certain key arguments of Debunking Economics to the Global Financial Crisis. There is hence some overlap, but it succeeds with remarkable excellence to communicate the central tenets that shape the debate surrounding the Global Financial Crisis in around 130 pages. Its success is however sometimes also its weakness. The brevity of the book leaves some valuable information unsaid and ignores criticisms against some of the basic premises. Keen’s discussion of policy options, for instance, is too short to convince permanently. He also makes some uncritical assumptions of his own, like presupposing that GDP growth is a good in itself, whereas heterodox degrowth initiatives credibly argue against this idea. One of the more interesting parts of the discussion about the Global Financial Crisis is also left unmentioned. Mian and Sufi’s House of Debt (2015) and Turner’s Between Debt and the Devil (2016) both mention the ‘debt overhang effect’ to explain why overleveraging in, for example, the U.S. housing market causes a recession in the whole economy. Once financial markets crash, total demand not only declines because people have less access to credit, but also because they cut more on spending and borrowing than they rationally should, out of fear for future losses. They start hoarding savings, which depresses total demand even more than Keen projects. It is thus advisable to read Keen’s study together with these other books to acquire a complete understanding of the Global Financial Crisis. Apart from these minor omissions, the best way to evaluate Keen’s thesis, however, is to let his predictions speak for themselves. The author projects that specifically China and Australia are heading toward a financial crisis in the near future. Their private debt to GDP ratios are at the moment among the most alarming in the world’s major economies. If Keen is right, these are the places to look out for the next crash.